Adoption Fee:$200 for Toby and Ceasar together! We're a team! Reason for being in rescue: Caesar and his brother Toby were pulled from a shelter in NY. It was their third visit to the shelter due to issues their owner was facing. Special Needs: Yes, I need to go to a home with Toby! What kind of home would be best for me? Cesar is a pretty easy going boy. He attaches quickly and then wants to be near you always. Owner experience level needed: 6 - More than 10 years as a dog owner. Has worked with at least one behavior issues that did not require professional intervention. OR has worked with one serious medical issue that required professional care (diabetes, epilepsy, Cushing's, Addison's, etc) Toby can be stubborn. Cesar does not share food. It is not hard to work with at all and he will happily eat in the same room with Toby as long as they are separated by a good 10 feet. What is my personality like: Caesar is a big, goofy boy. 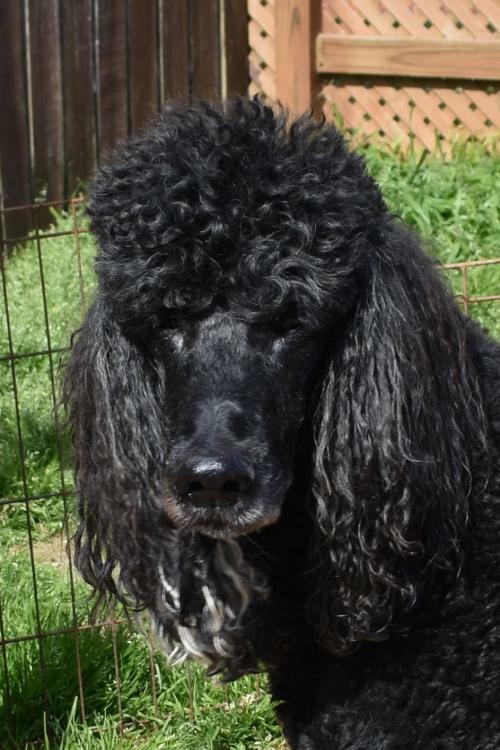 He has long legs, even for a standard poodle, and his lanky - almost goofy - trot is reflective of his personality. Caesar has clearly been a beloved pet. He walks very well on a leash, seeks the attention of people, and is generally mild mannered. He picks his person and bonds to them very quickly. 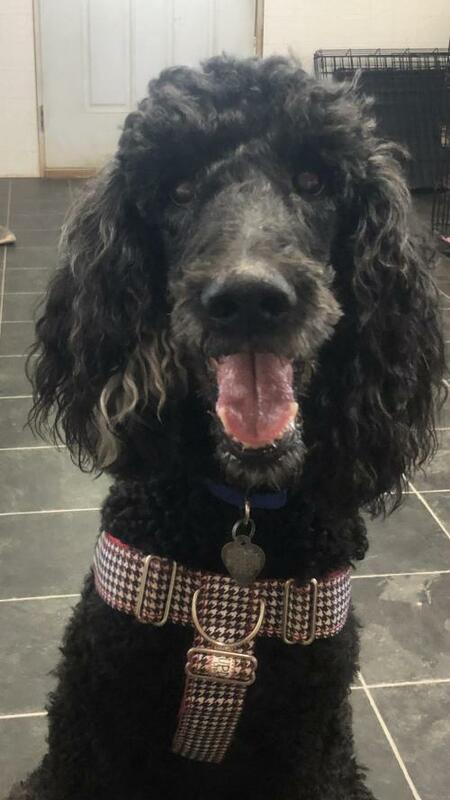 Caesar has been raised in a home with another dog, but is most interested in his person. He happily sleeps in the bed at night and loves nothing more than to snuggle when you sit down. Caesar has a lot of life and love left to give some family. If you are looking for a loyal companion that will give you his entire heart, this boy is for you! 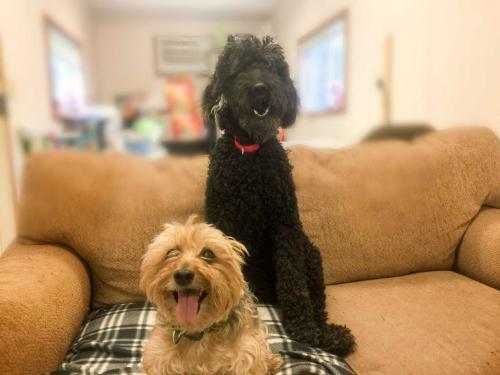 Ceasar and Toby are the perfect pair, you can have the best of both worlds! Tips and Tidbits: Cesar had elevated liver values when he visited the vet back in May. We're not sure if this is just him or indicative of problems to come. He is a senior. He's living in the moment. House trained: Dogs can be house trained if they are in the right environment and are allowed to follow a schedule as long as a physical reason doesn't keep them from being trained. A dog house trained in my home may not be in yours. We will help you teach your new dog this necessary skill and based on your schedule. Please note - we do not ship or transport our dogs. If you are interested in adopting a dog, take a look at the distance between the dog's location and your location and make sure you are able to make the trip. Thank you for your interest in a dog who needs a new home. This description contains all that we currently know about this dog. We have no perfect dogs - but many of our dogs have proven to be perfect for a certain someone. We urge all of our potential adopters not to fall in love with a picture. When screening applications, we look at the entire home and then make suggestions based on what would be a good fit for your home. 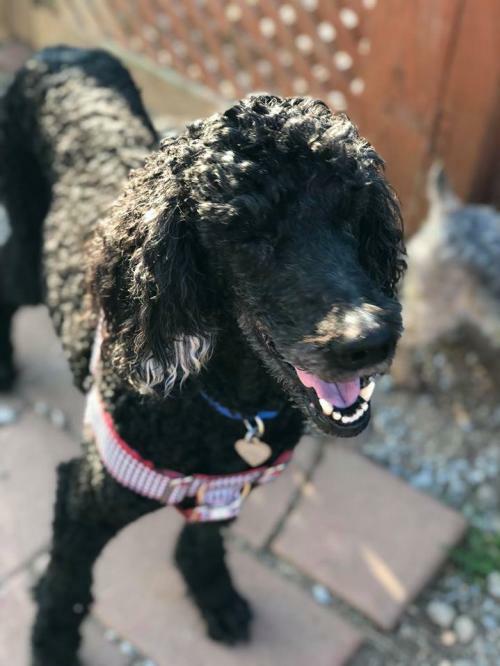 You are not being screened for a specific dog although we are looking to see what type of dog interests you - poodles or non poodles, age, temperament, personality, etc. Our goal is to match you with the best possible pet for you and your home. We want to create furever families. If you would like to receiving our monthly newsletters and learn more about how to support dogs in need, please email info@carolinapoodlerescue.org or fill out our contact form and ask to join our mailing list. Thank you for considering CPR!